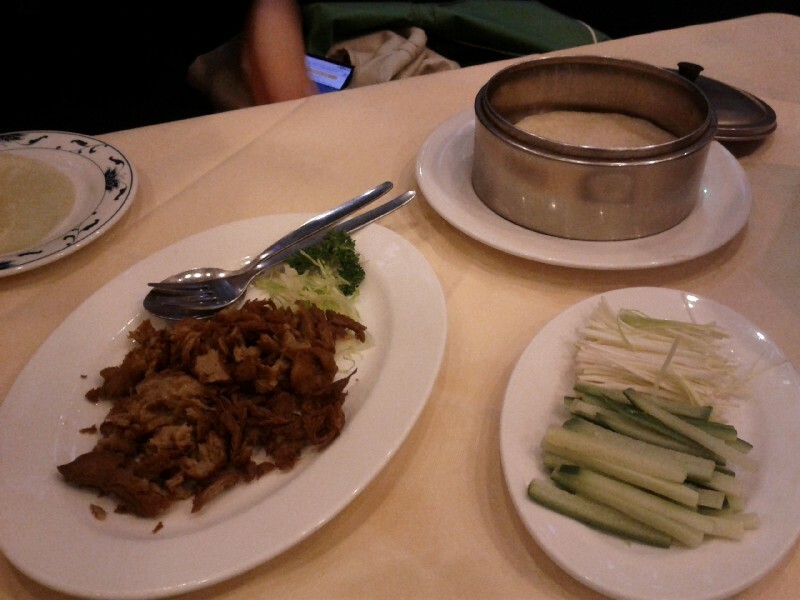 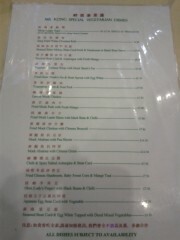 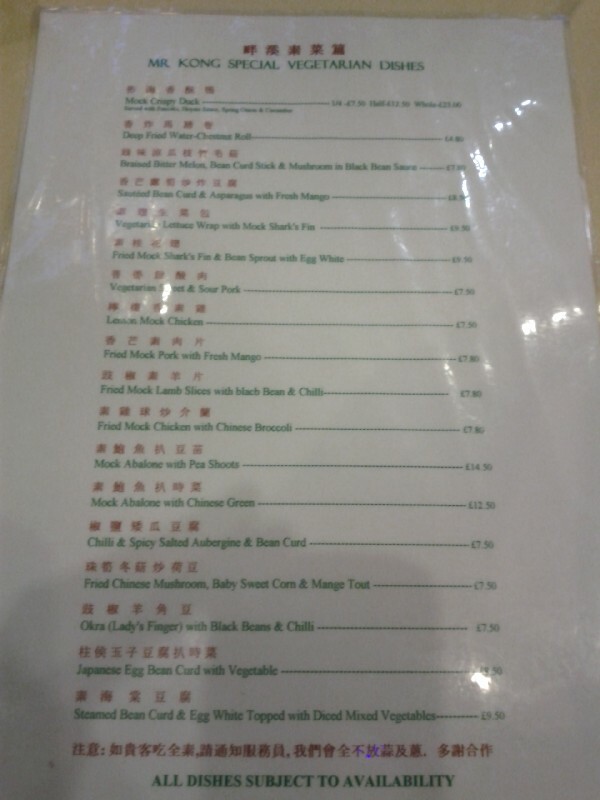 The vegetarian menu at Mr. Kong. 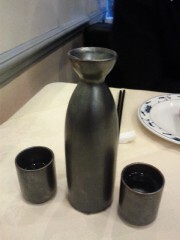 It was actually quite cold outside, so we had some hot sake to warm us up. 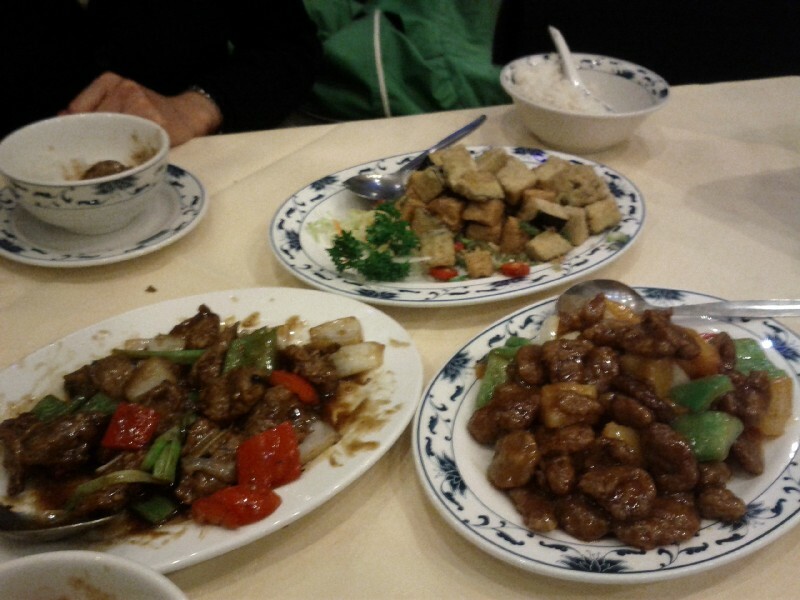 Our main cours dishes - clockwise from the top: deep fried tofu and aubergine, mock port in sweet and sour sauce, mock lamb in black bean sauce.